Koch Hazard Architects and friends served breakfast at The Banquet. Koch Hazard Architects, Associated Consulting Engineering, Inc., Stockwell and Structural Engineering Associates served breakfast at The Banquet in November. The firms prepared breakfast, folded napkins, served guests and washed dishes. Our group of volunteers served 220 people, including 16 children. 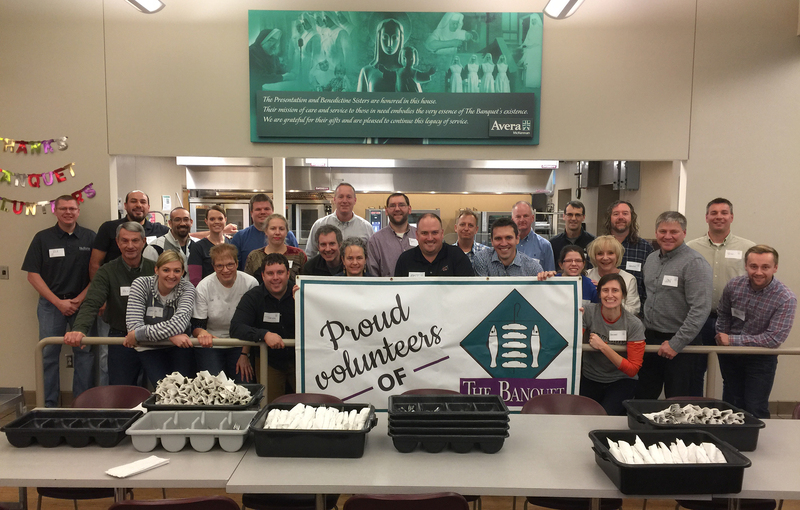 The Banquet meal ministry was founded in 1985 starting with just one meal per week. It now serves 13 meals per week at two locations. The Banquet is a volunteer-based ministry, which means meals are paid for, prepared by and served by volunteer groups. In 2016, The Banquet served 196,000 meals, and at least 25,000 of those meals were served to children under 12.